Our October program, entitled “Pennyslvania Dutch Bride’s Quilts”, was presented by Ronaug Bull. 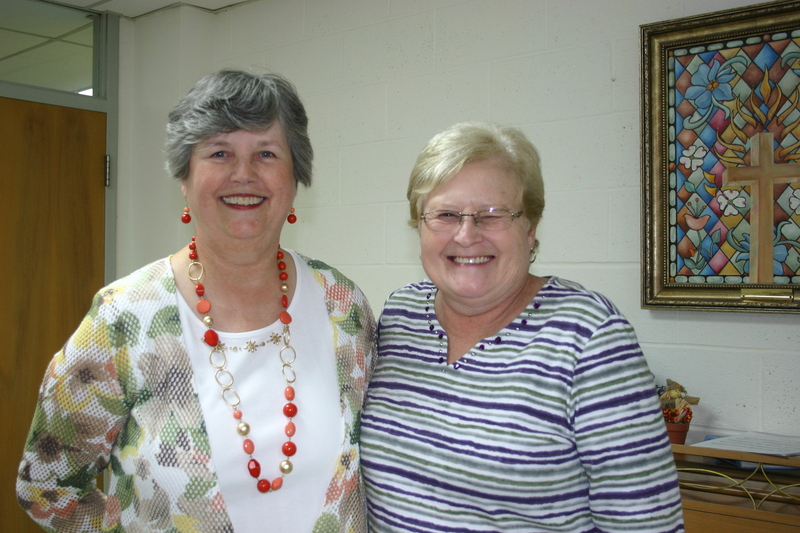 Marsha introduced Ronaug, who shared her treasured wedding quilt along with the reproduction quilt of the same pattern. In this beautiful quilt, each block represents something, such as “strength,” “unending love,” “health,” etc. The first quilt she showed was made for her by her grandmother, Cleatice Lackey, and her mother, Betty Ruth Hunsaker, as a wedding gift. It was hand-appliquéd and hand-quilted by them. Close up of the original quilt. Ronaug decided to reproduce the original quilt using slightly different colors. She machine appliquéd each block and then had it machine quilted. She hasn’t decided which family member will be the recipient of this most recent quilt. Close up of the reproduction quilt.